For eye-catching features in your home, we offer a comprehensive line of acrylic block in Marietta, GA. Lighter than glass block, yet just as attractive, acrylic block windows add distinctive appeal to your home or business. At the same time, these windows made of acrylic block are very energy-efficient. Save more and improve the ambiance in your living areas with our high-end and affordable products. Showcase your personality by installing acrylic block. Just like there are all types of homes, there are many styles of acrylic block windows. From clear wave patterns to cross rib block patterns, we have so many options at your disposal. We also offer a wide variety of frame colors, types, and sizes. Both vinyl and aluminum options are available based on your frame selection. Why settle for ordinary windows when you can have so much more? 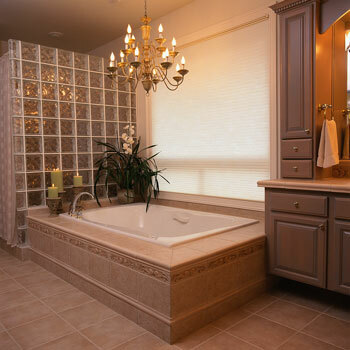 Install decorative and frosted acrylic block in your bathrooms. Perhaps, an acrylic block hopper window is perfect for your basement. We also have casement windows that provide easy access for you when you want to let fresh air into your home. Your choices are virtually endless. Some windows – you want to be able to see out. Others, you don’t. If you need natural light in your home, but you want privacy, then acrylic block windows are the ideal choice. Stop by our store for an expansive selection of our products. Everybody wants to save energy. It’s not only good for you, but for the environment. Reduce your carbon footprint by installing acrylic block for replacement windows. Because they keep the hot and cold air outside where it belongs, your heating and cooling system doesn’t have to work as hard. Our attractive windows feature energy-efficient vinyl or aluminum frames. They can be ordered in fixed, operable, and special-shaped styles. Contact us if you have questions about our acrylic block windows. We proudly serve customers throughout Marietta, Roswell, Atlanta, Alpharetta, and Kennesaw, Georgia, as well as the surrounding areas.